Lakeside Software came to Flickerbox for help re-architecting and re-organizing site content so that there were clear user paths, digestible content, and a simple and focused navigation. 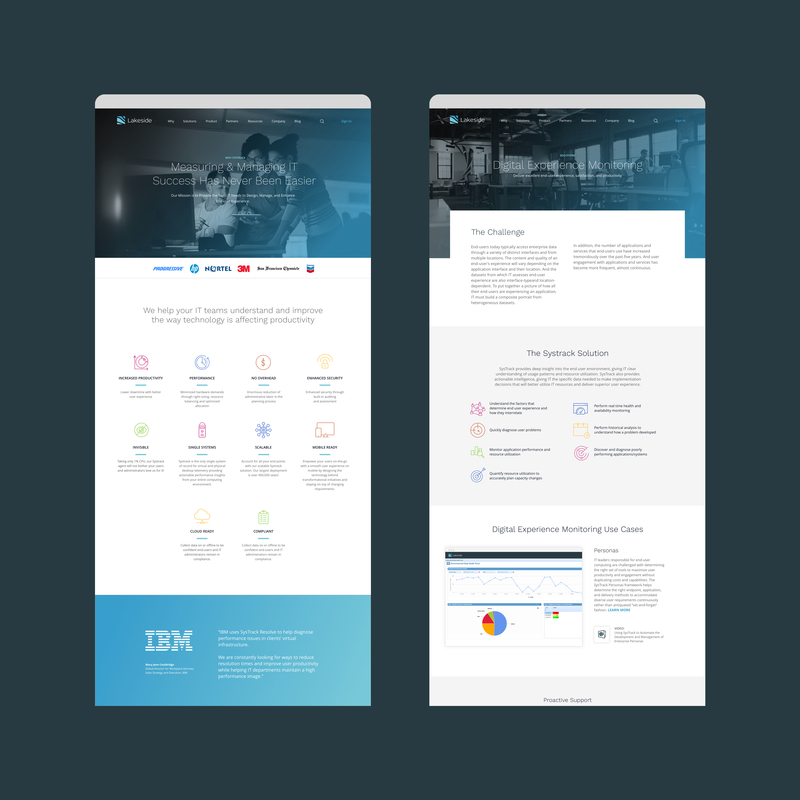 Lakeside was also looking to update and refresh the brand and look and feel of the corporate site. Flickerbox spent a lot of time working with the Lakeside team on re-architecting and organizing content. We worked together to condense and structure content so that is was easily scannable and in a direct voice – helping keep users engaged and interested in diving deeper. To help drive conversions, we created hooks in content to direct users to appropriate resources and calls-to-action. 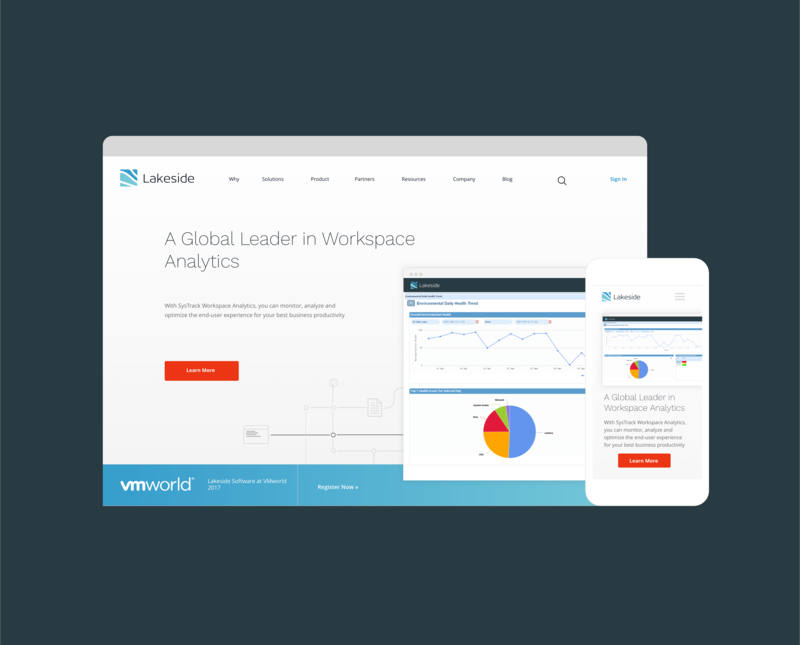 Lakeside Software chose to migrate their site from WordPress to Drupal on Pantheon to make localization in the future more expedient. With most of the marketing team accustomed to working in WordPress, Flickerbox needed to build the backend display in a way that was easy to update and manage even with an unfamiliarity with Drupal. We achieved this by building custom page sections and styling options – allowing the marketing team to easily repurpose content and content types across multiple pages. As a result of Lakeside and Flickerbox’s partnership – the brand positioning has been elevated, the messaging is clean and clear, and we have created a full fledged CMS that the marketing team can manage.